So, now that you know what Instant Directory Profits can do for you, you're probably most interested in wanting to know what it will cost you to own this awesome piece of software. First up, understand that there are only a couple of other similar tools out on the market today and one of them sells for $147! That may seem a tad overpriced but when you weigh it against the potential benefits, you'll realize it can help tremendously in your search engine rankings and increase the amount of your sales exponentially. Hence, it literally pays for itself... Possibly in just a few days time! Furthermore, 'Instant Directory Profits' was designed with the end user in mind... We've made it ultra simple for you and all you need to do is to follow some step-by-step instructions and you're able to start submitting your sites to over 1500 directories and gain a ton of quality backlinks in no time. Now we certainly do not intend to charge you $147. 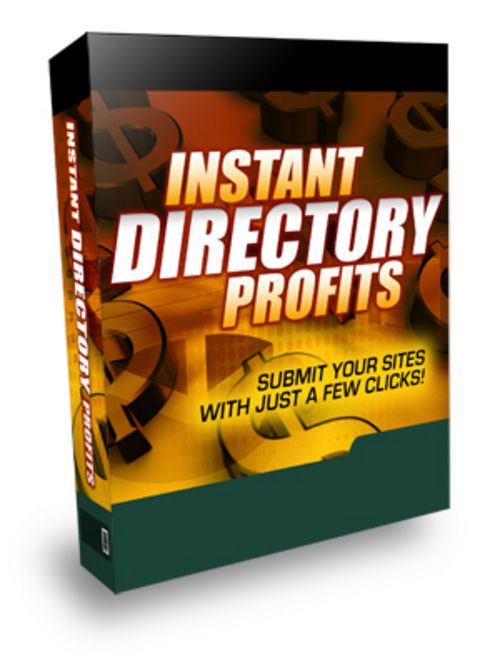 Yes, the returns it can bring for you by using Instant Directory Profits could quite easily pay for your investment in just a few days time. You see, we've been well-known for over-delivering on the software we create and making it really affordable for the masses. Our past customers have all testified to that and we certainly want to keep it this way.